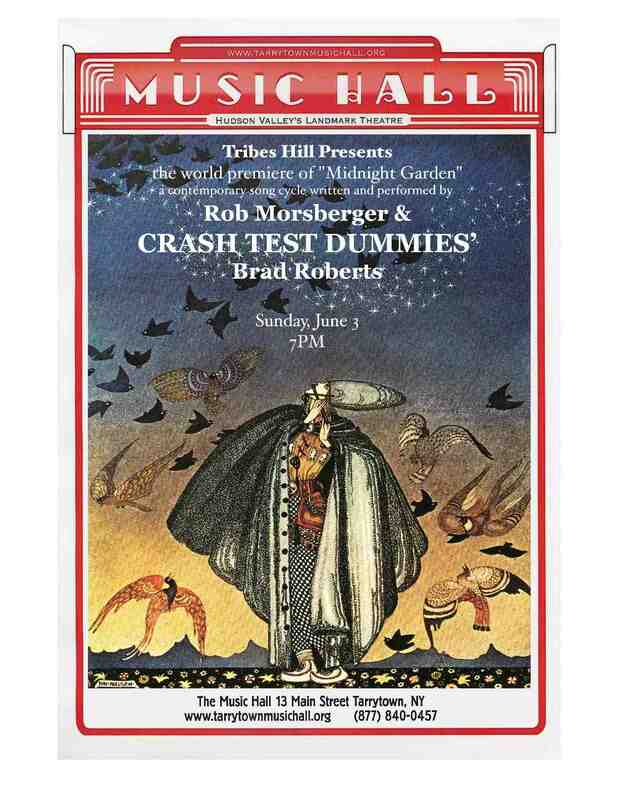 ‘A Part of You’-his sixth- and ‘Midnight Garden’ featuring Crash Test Dummies’ Brad Roberts In Rob’s words: When I was hospitalized in September 2011 with a termnal brain tumor, I hoped that I would have time to finish the record I was currently working on, ‘Ghosts Before Breakast’. And maybe, if I was lucky, I could squeeze out another, sixth album. Two days after brain surgery I was back in the studio and finished ‘Ghost’ in the month that followed. Then I started work on what became ‘A Part Of You.’ Musically, I had long wanted to bring together my work as a composer with my songwriting life, and many of these songs were adapted from instrumental scores I had composed for television. So there is a quirky chamber music sensibility here, in a departure from previous records that featured my longtime band. The album is dedicated to my youngest son Elan, whose hand I am holding on the cover. In the title track, I assure him that ‘I will always be a part of you’. In another song, which features his (very contagious) laughter, I encourage him to laugh in the face of life’s unfairness, and ‘You Son’, written with bassist Zev Katz, imagines the grown-up young man I am not likely to meet. The Russian Cartographer, was a roomate I briefly had while in hospital, and I enjoyed imaging his story. ‘An Inside Place’ channels the words and feelings of my autistic co-writer on that song, Anthony Rutenbeck. Other collaborators include Suzzy Roche and Brad Roberts (of Crash Test Dummies); our duet, ‘The Man and The Birds’ was the beginning of what became yet another new album, ‘Midnight Garden’. $25 A pre-release digital download of either album, and hard copy mailed out 9/18. $50 Pre-release downloads of both new albums, and hard copies mailed out 9/18. $100 A 2011 ‘Ghosts Before Breakfast’ tour t-shirt, and all of the above. $250 An extraordinary, one hour concert film (on DVD) from filmmaker Dave Davidson of Rob and band, with record-quality audio, and all of the above. Featuring Jon Herinton, Robin Gould, Zev Katz, and special guest Ina May Wool. $500 All of the above, plus a personal greeting on each CD and a beautiful signed poster from the Tarrytown premiere of Midnight Garden. $1,000 I will perform a 90 minute concert in your home, or a place of your choosing, and all of the above. $2,500 I will write and record a song for you, on a subject of your choice, as well as all of the above. This is a really cool option. For one example (from the ‘Ghosts’ campaign), listen here. $5,000 You will be listed as executive producer, as well as all of the above. Pledge If you prefer not to receive any reward, you can specify any amount you'd like to pledge.